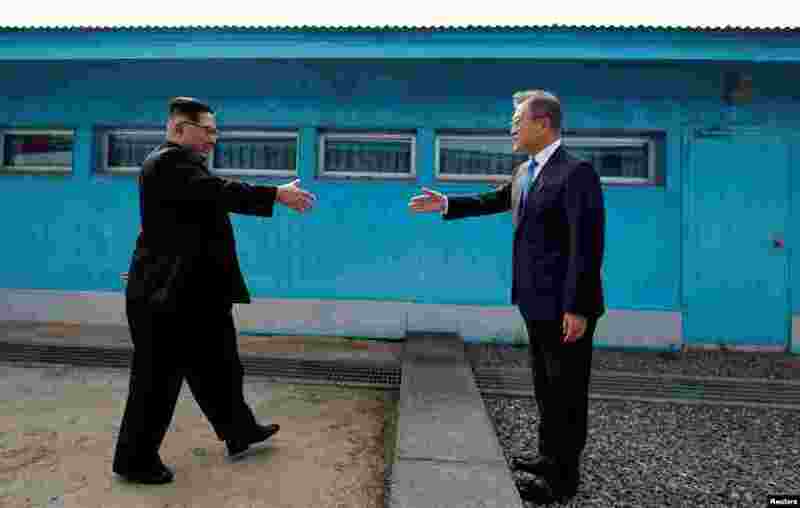 1 South Korean President Moon Jae-in and North Korean leader Kim Jong Un shake hands at the truce village of Panmunjom inside the demilitarized zone separating the two Koreas, South Korea. 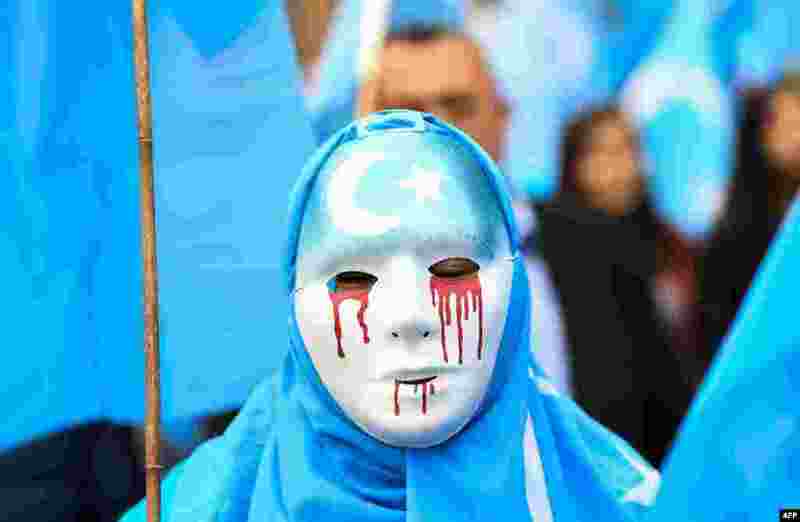 2 A person wearing a white mask with tears of blood takes part in a protest march of ethnic Uighurs during a demonstration around the EU institutions in Brussels. 3 An Indian girl enjoys a swimming pool at Kanha Fun City Water Park in Bhopal. 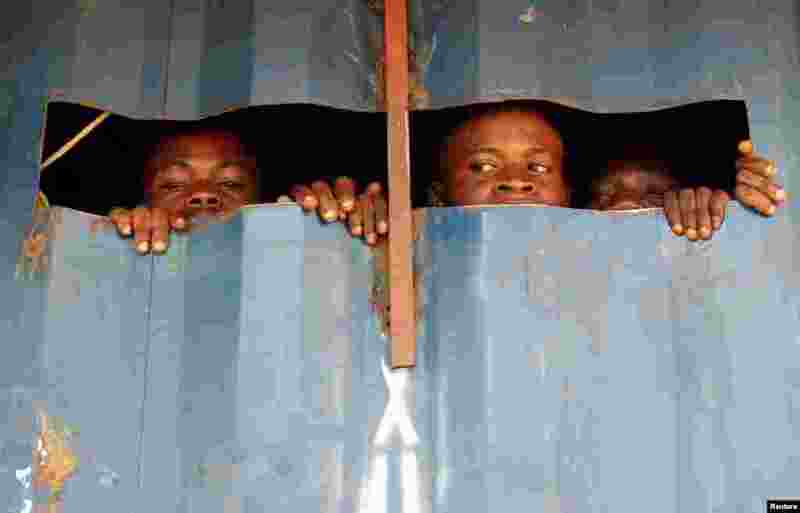 4 Detained Mai-Mai Yakutumba rebels, captured by Congolese soldiers from the Armed Forces of the Democratic Republic of Congo (FARDC) look out of a container in Namoya, Maniema Province, eastern Democratic Republic of Congo.